Goal: Current and prospective teachers will understand English language arts and mathematics college-readiness standards well, including both the curriculum and the performance levels that the standards embody. Teachers also will understand how to teach these standards in ways that ensure that their students meet these levels. An important component of a state’s efforts to increase college and career readiness is to ensure that all teachers teach the college- and career-readiness standards effectively. With support from the Bill & Melinda Gates Foundation, SREB is providing technical assistance to Southern states to offer readiness curriculum in the form of transitional college-readiness courses in high school and teacher development to help teachers teach the courses and assess students. Students become ready for college and career training through carefully planned and guided instruction. Because all teachers must have a cognitive understanding of the state’s college- and career-readiness standards and how to engage their students to learn at high levels, college readiness needs to be part of both teacher preparation (pre-service) and professional development (in-service). With the development and integration of college-readiness standards into the Common Core State Standards, teachers (particularly those in grades nine through 12) must acquire a clear understanding of the new college- and career-readiness state standards and how these might differ from other curriculum standards in both substance and performance levels. 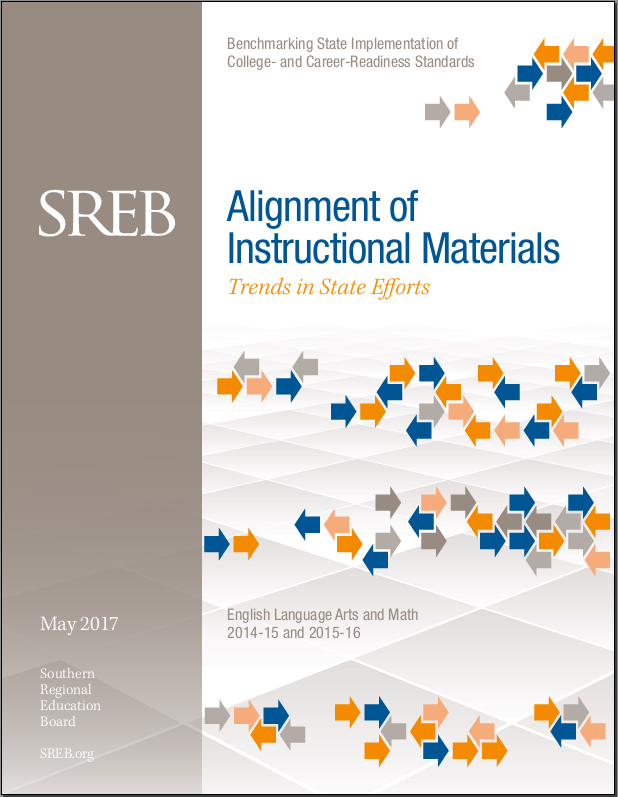 Teachers in the classroom will need explicit definitions of the content and performance expectations, and states will need professional development programs to create this understanding uniformly statewide. Future teachers need to master the appropriate knowledge and skills to teach college- and career-readiness standards, and teacher preparation programs across the state likely will need to make changes to their curricula and instructional practices to ensure that prospective teachers graduate with these skills.